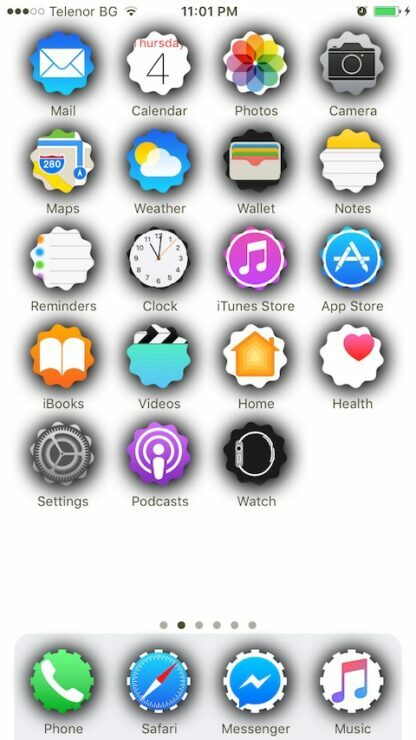 A new jailbreak tweak called SpringToolz lets you customize the app icon shape on your iPhone. Since the release of the original iPhone back in 2007, the app icon shape on the home screen has remained unchanged. Though the fundamental look and feel of iOS has gone through drastic changes, but Apple saw it necessary to keep icons the way they are. If you disagree with that completely, then a newly released tweak called SpringToolz is for you. The name might not give it away at all, but the jailbreak tweak allows you to change the app icon shape to something else. There are plenty of different styles to choose from, and the screenshots below will give you a glimpse into what you can expect once you have downloaded the tweak from the BigBoss repo in Cydia. An awesome free UI tweak for SpringBoard! 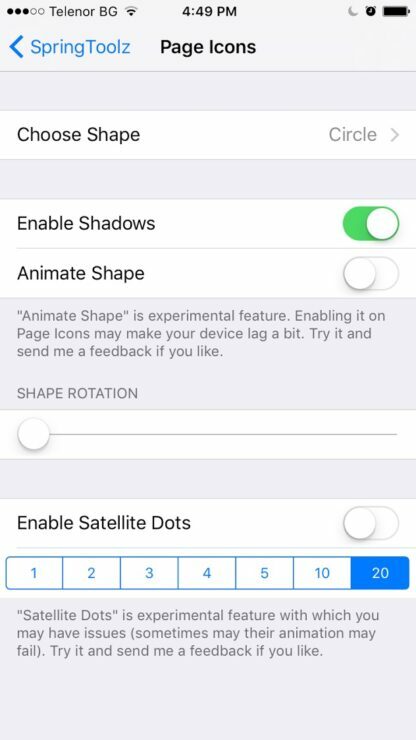 It lets you choose the shape of your icon from 20+ icon shapes listed inside Settings app > SpringToolz. It can add shadow with various options to your icons. This version includes some experimental features like “Shape Animations” and “Icon Satellites”, which at this point fail to start some time, but will be improved in future versions. As you can see in the screenshots above, there’s a lot you can do to make iOS truly personal. But apart from just altering the shape of the app icons, you can add shadows underneath as well. But really, a flatter look goes a long way in achieving that minimal look. Every aspect of the tweak can be controlled straight from the Settings app itself. Just go there and then select SpringToolz. Here, you will be able to start your journey into the world of custom app icon shapes. You will be pleased to learn that the tweak is compatible to work with iOS 8, iOS 9 as well as iOS 10. So you can rest assured that the bases are all covered out of the box. Give the tweak a spin and let us know what you think about it in the comments section below.